I keep coming across this very naive form of chemophobic scare-mongering – the use of safety data sheets to frighten consumers about trace chemicals in their environment, food and drink. Here is an example anti-fluoridation propagandists continually use – safety data sheets for fluoridation chemicals like fluorosilicic acid. Often these people simply reproduce the image without comment – thinking this somehow proves their argument! I have discussed this issue for water treatment chemicals before (see Water treatment chemicals – why pick on fluoride?). In the article I link to above I give information, including that from safety data sheets, for the range of chemicals used in water treatment. Chemicals like Aluminium sulphate or alum, used as a flocculation and coagulation agent and chlorine which is used as a disinfection agent (here is the safety data sheet for chlorine). 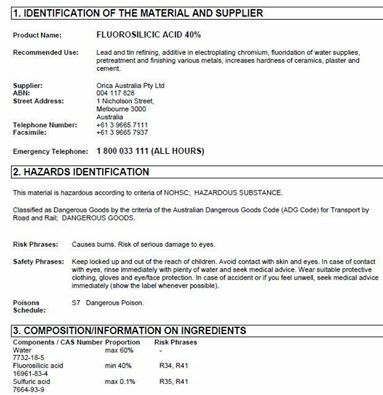 The safety data sheets for these chemicals can be just as scary as for fluorosilicic acid. Even scarier for chlorine, which was used as a chemical weapon in the first world war. And the information is important for the people handling the concentrated chemicals, manufacturing them, transporting them and disposing of them to waste where necessary. 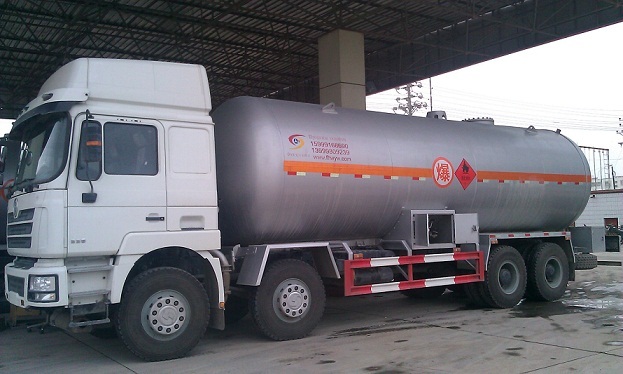 Safety data sheets are important for people transporting concentrated chemicals. But these sheets are completely irrelevant to people interested in the safety and nutritional value of their food which do not contain such concentrated chemicals (except for water, of course). 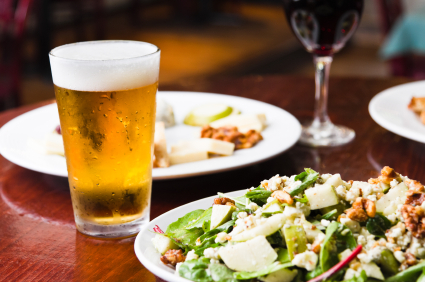 Safety data sheets are irrelevant to consumers of food and drink – don’t expect your waiting staff to provide them in a restaurant.